We stock a superb range of electrical products ranging from sockets to full lighting systems, and a whole host of things in between, to keep your business switched on. Whether it is for domestic, commercial or industrial applications our range of lighting, lamps, cables, wires, ventilation and fittings will ensure you can install, maintain and repair all your electrical systems. 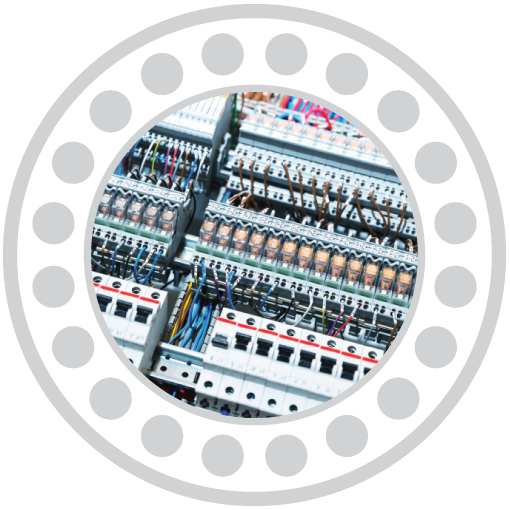 Our wide array of electrical components allow the maintenance, repair and installation of heating and cooling systems, extraction, ventilations systems, plant machinery operating circuits, security, fire, safety and media systems. We are able to supply products for almost any industry and these items are typically covered by our 24 hour delivery pledge.